Pro Ice cold therapy ankle wrap provides pain relief to ankles that are sprained or suffer from repetitive stress. One of the most notable aspects of Pro Ice cold packs is the ability to maintain a consistent temperature for an hour. This creates the optimal icing solution: Ice for 20 minutes on, 20 off and 20 on. But for many, even more icing is needed. An additional ice insert (PI 501) can double the icing time of the ankle wrap (PI 500). Simply remove one ice insert and replace with the additional one for extended pain relief, making it the ultimate ice wrap. This offers flexibility and cost-effectiveness. 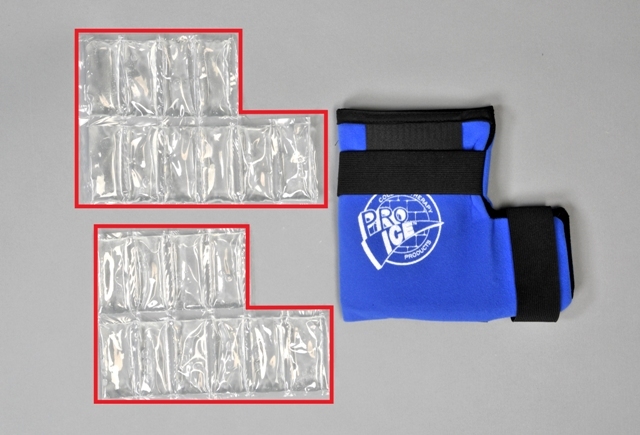 Yet another hallmark of Pro Ice's ability to outperform any instant cold pack or reusable cold pack on the market today.